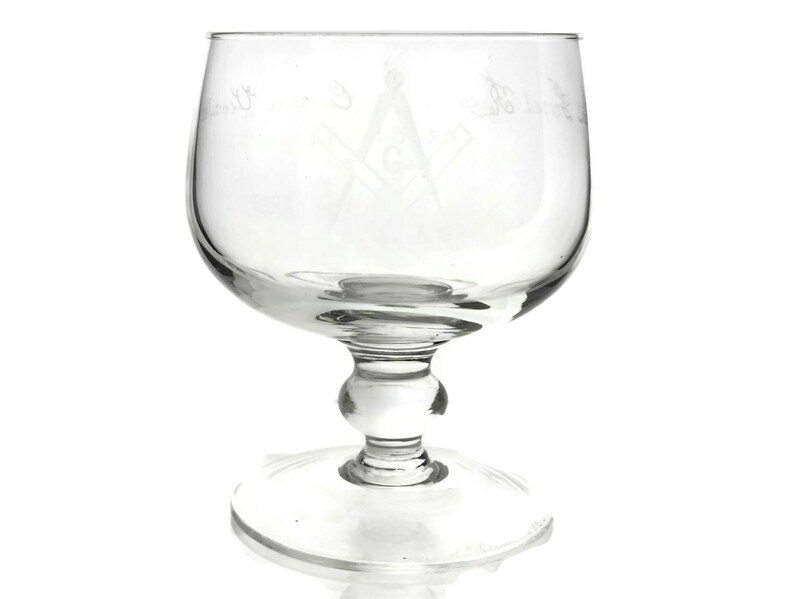 Vintage Masonic Rummer. 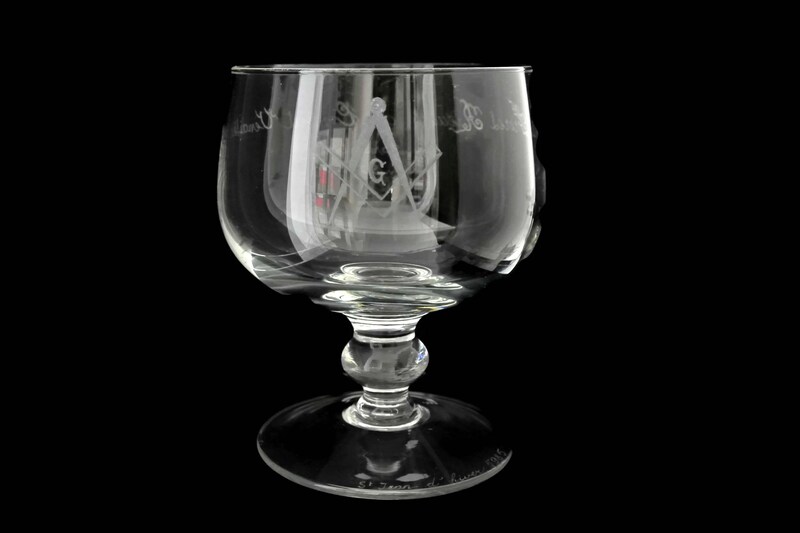 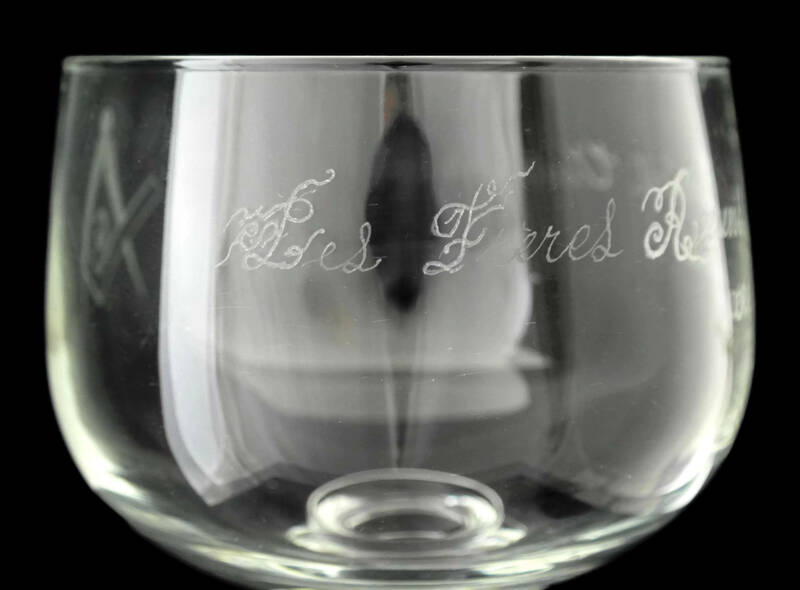 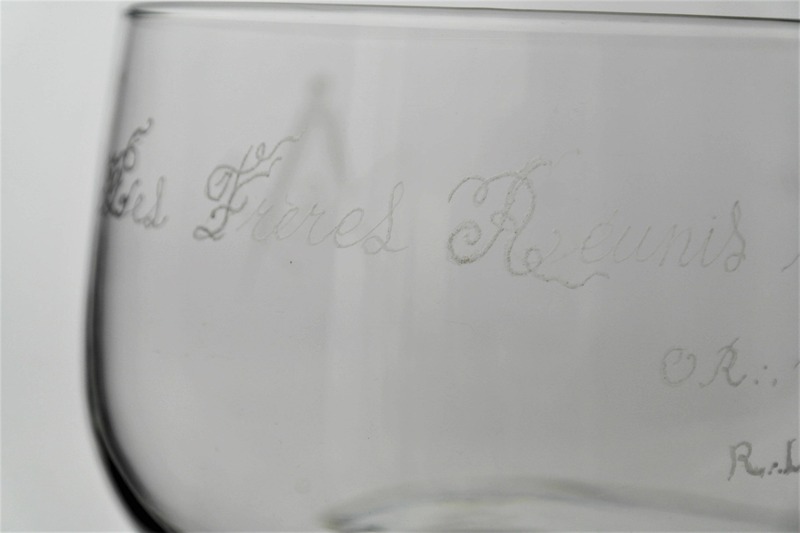 French Crystal Chalice Glass Etched with Freemason Symbols. 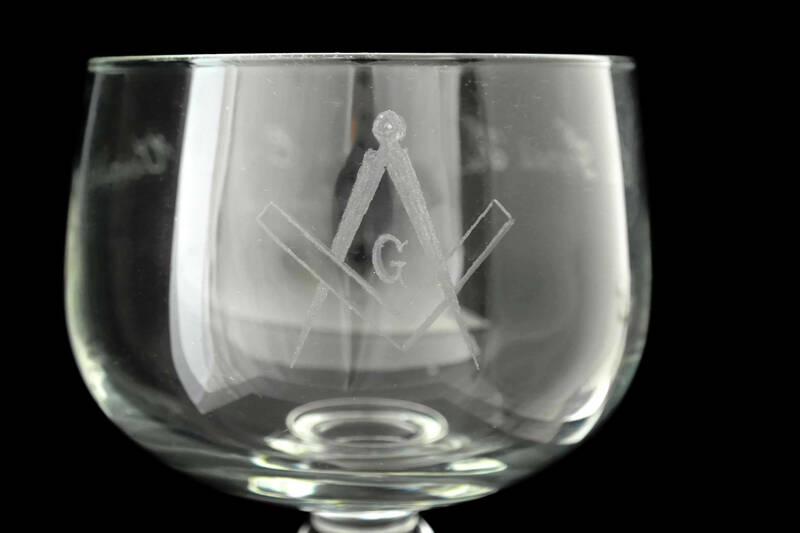 Freemasonry Gift. 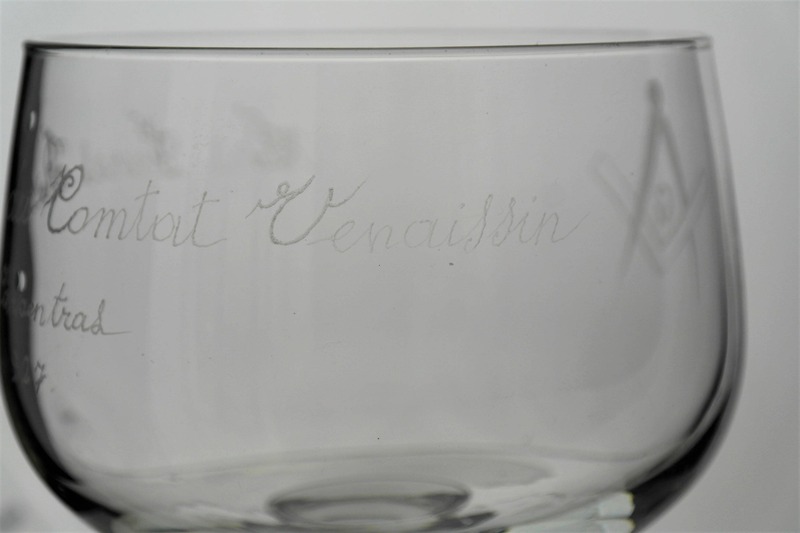 The front has been decorated with the emblems of a compass and square with the initial G.
The base has been etched "St Jean d'Hiver 5985". 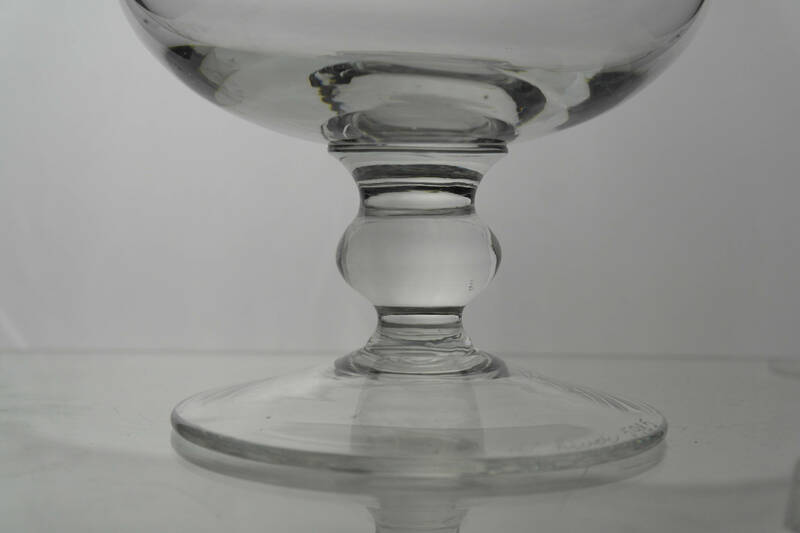 8" Tall x 6" Wide (20 cm x 15 cm). 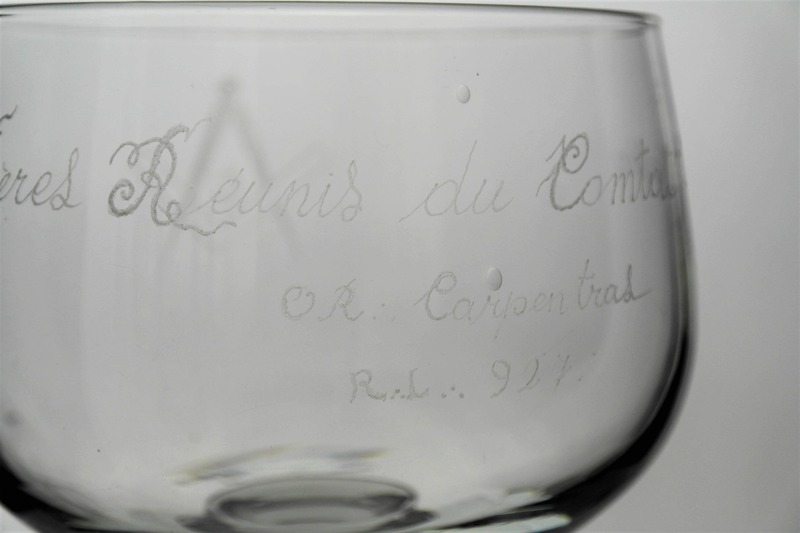 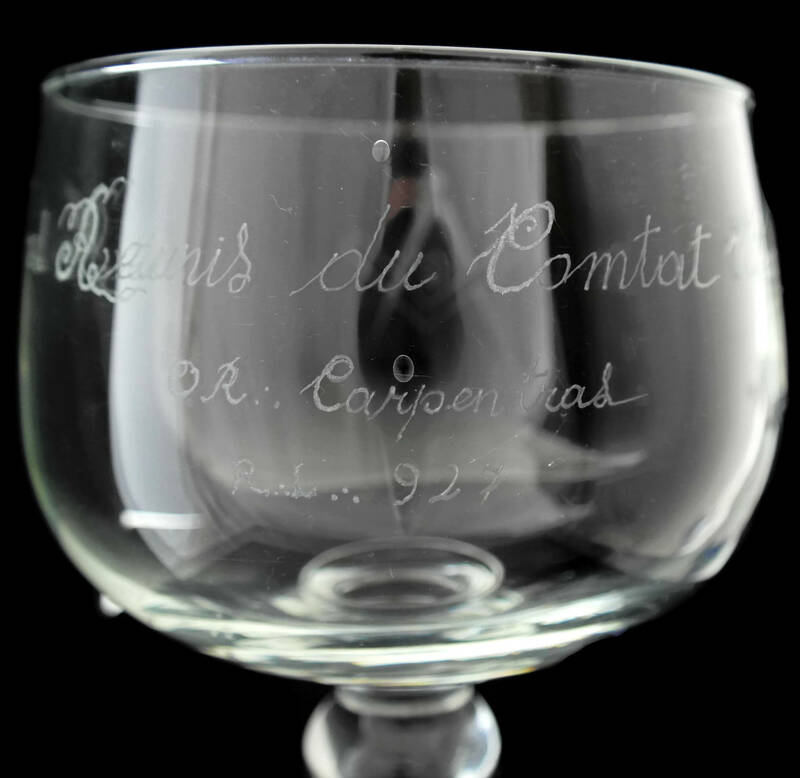 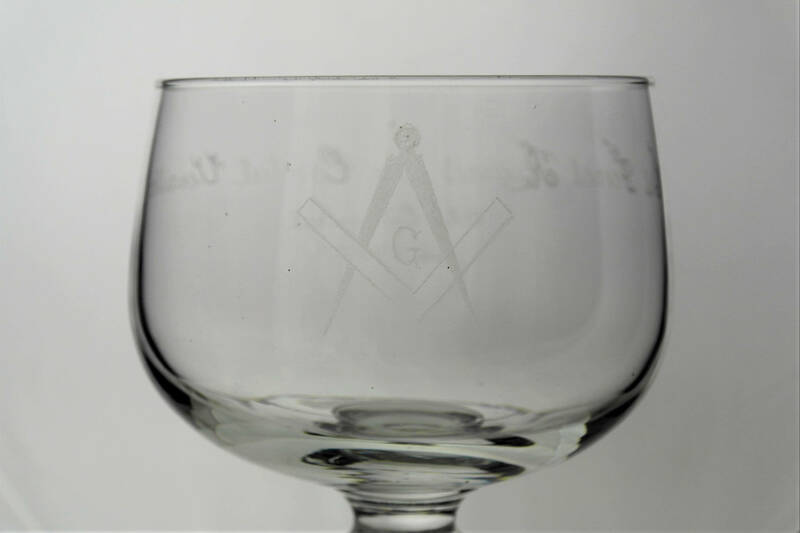 The masonic glass is in very good condition with light surface marks and small bubble inclusions in places.